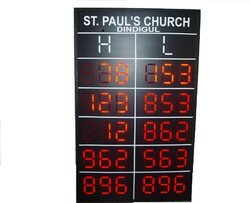 These type of boards can be used for the display of any type of information such as weather information , price display information , production information ,stock information, performance display boards etc. This display board displays weather information. 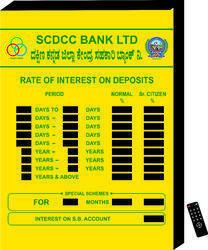 Data is updated thru remote control. input by computer or wireless remote. 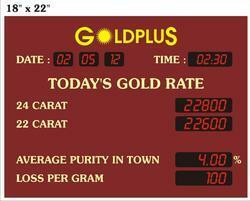 Gaining day by day popularity in the filed of manufacture and supply of Digital Display Board. Applauded by the experts for its clear display, these optimize the digital technology to give the best performance. 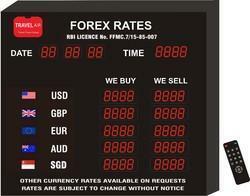 These digital display boards could be customized according to the specification of the clients and are also available in variegated range. 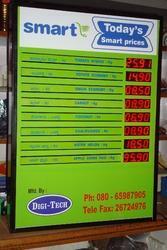 Moreover, these digital display boards are available at affordable prices much to the satisfaction of the clients. 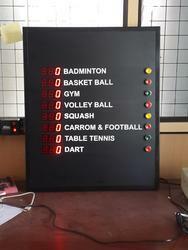 Available with us is a wide range of Electronic Score Boards for Games, which is meant for sport lovers. In order to suit the diverse requirements of the customers, these can also be customized as per the specifications laid down by them. 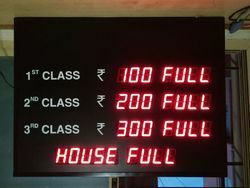 These boards are used for public display during a match or any other game. 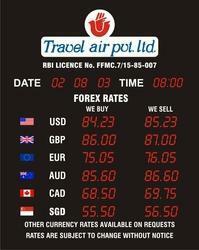 We are majorly looking for enquiries from Gujarat, South India and Maharastra only. 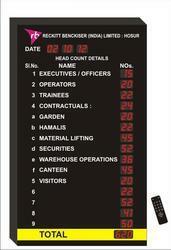 Creating niche in the field of manufacture and supply of Head Count Display Boards. Some of the primary characteristics of these display boards are excellent display unit, brilliant fabrication, customization based on the specification of the client. 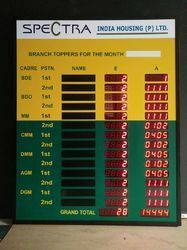 These display boards find extensive utility in the industries and the reading which these display are free from all sorts of error and are 100 percent accurate. 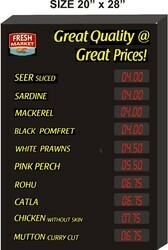 All this and much more at suitable price. 2. 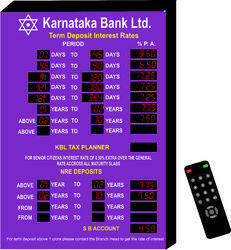 Periods & interest rates can be changed through wireless remote. 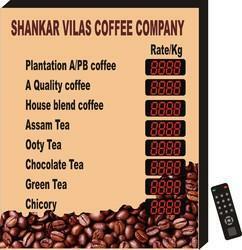 Front designs as per the customer specification with corporate colour Logo. 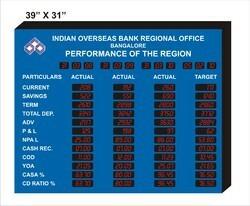 Looking for Information Display Boards ?